Smoothie bowls are my new favorite breakfast. Aside from being the prettiest thing since cronuts, they are super tasty and just like froyo, you get to do your own toppings! I mean, can you believe this bowl came together in 10 minutes? Simply toss everything into a blender and serve. Want more fiber? Toss in some kale. More protein? A scoop of nut butter. As for toppings, you can use berries, bananas, nuts, coconut flakes, chia seeds, hemp seeds, granola… the sky’s the limit. 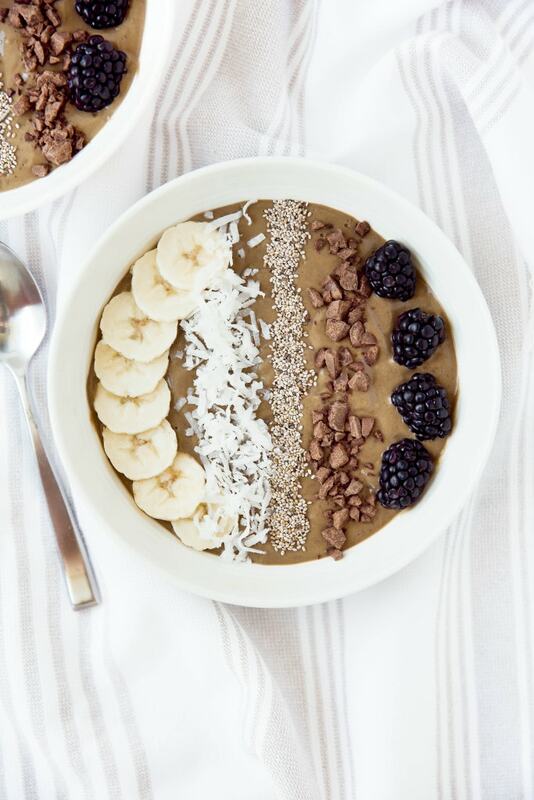 What makes this smoothie bowl so special is that it’s chocolate… for breakfast. That’s right, friends. Chocolate! A little while ago I was contacted by ALOHA, a company that’s bridging the gap between busy lifestyles and healthy eating. Their goal is to provide food products that incorporate more nutrition into your daily eating habits. 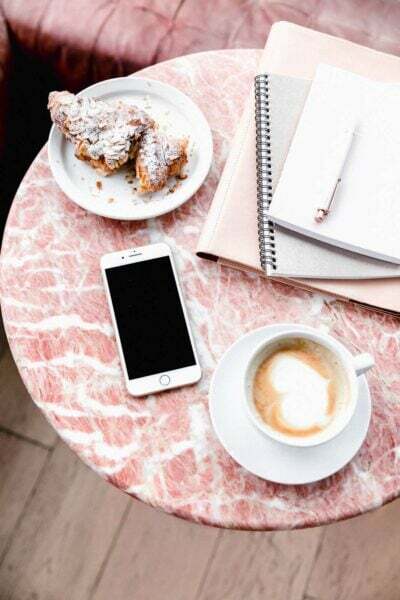 As for this baking blogger, I’m constantly trying to get the nutrition I need amongst a literal ton of baked goods. And as much as I love sugar, a balanced diet is something that is incredibly important to me. So with my natural cravings for sweet things (and chocolate), I jumped at the idea to create a healthy recipe for ALOHA. 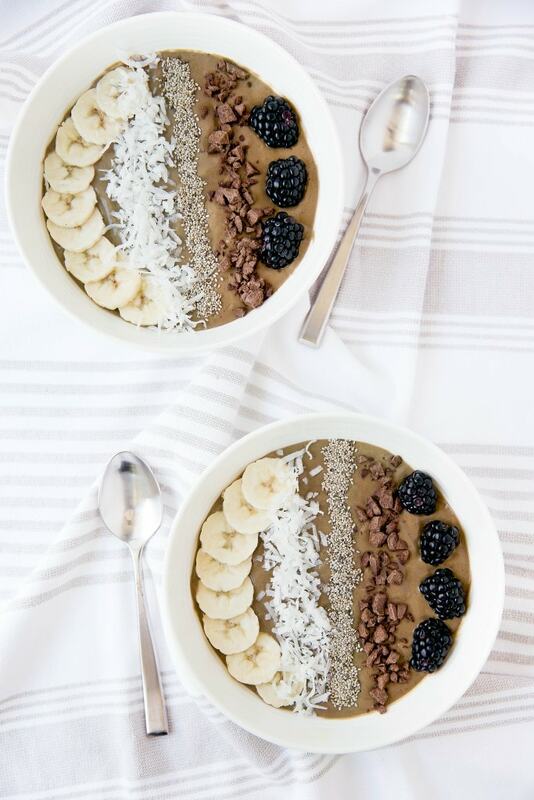 Friends, meet Superfood Chocolate Smoothie Bowl. It’s packed with vitamins and nutrients, from potassium to Vitamin K. I added a packet of ALOHA’s Daily Good Greens blend, which provides over 500% of your daily Vitamin D, contains only 50 calories per pouch, and is loaded with spirulina, which helps to support liver and kidney functions. On top of the smoothie I opted to chop up ALOHA’s Superfood Chocolate, which is no ordinary chocolate bar. It’s made with the Daily Good Greens Chocolate Blend, sneaking in all those vitamins and nutrients. I mean, give me the option to sprinkle chocolate on my breakfast and I’ll say yes 100% of the time, but nutrition-packed chocolate? Yes 110%. This smoothie would also be delicious with some toasted peanuts on top. Really whatever floats your boat and keeps you full & satisfied. Almond milk — If you prefer thicker smoothies / smoothie bowls, use less almond milk than the recipe calls for. And for thinner smoothies, add more. Feel free to use whichever non-dairy milk you like best! Raw honey — Just a few teaspoons of honey sweetens up this smoothie bowl. 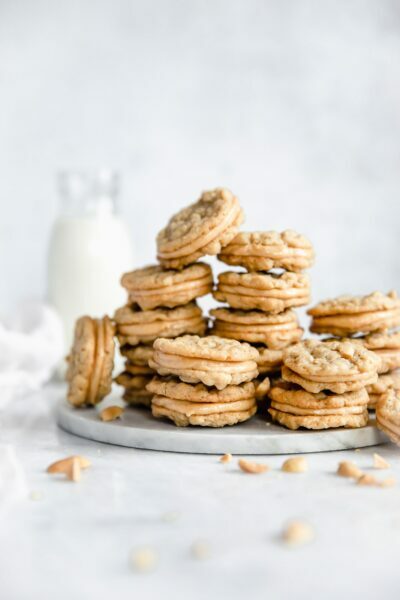 If you’re plant-based, you can use agave or pure maple syrup instead. Avocado — Don’t worry, you don’t taste the avocado at all in this chocolate smoothie bowl. It’s a key ingredient, though, as it’s what makes this smoothie so rich and creamy. Plus, the healthy fats in the avocado will fill you up until lunchtime. Banana — For a super sweet smoothie bowl, use a ripe or even spotted banana. For something less sweet, use a banana that’s still slightly green. You can also freeze the banana the night before for a creamier smoothie! Berries — I used blackberries in my smoothie bowl, but you can use whatever you have on hand. The berries jazz up the taste and texture a bit and are an easy way to mix up your breakfast. Cocoa powder — What would this chocolate smoothie bowl be without a healthy dose of cocoa powder? Hope you all have wonderful weekends. Looking forward to sharing more goodness with you on Monday! Add all ingredients into a blender and blend until smooth. If the smoothie is too thick, add more almond milk. Though you do want it to be thick enough to support your toppings! Pour into wide bowl and top with whatever toppings you’d like. This recipe doubles well, so you can easily make bowls for two! This post has been graciously sponsored by ALOHA. All opinions are my own! Yup. I’m always down for chocolate at breakfast. Excited to check out Aloha! I mean, what kid wouldn’t be happy with that?! Thanks Oriana!! Love smoothie bowls! This looks delicious! They’re seriously my new favorite! I’m obsessed! I’ve been wanting to try this smoothie bowl thing and now that I’ve seen this chocolate version I think I may have to! Pinned! Love smoothie bowls! This one looks perfect! Need to try Aloha! Pinned! This is one pretty bowl!!! Ohhh I’m all over chocolate for breakfast! Love Aloha, that chocolate is perfect, right?! With the added nutrients it IS!! I LOVE smoothie bowls like this!!!! and I need to try that Aloha Superfood Chocolate!!!! Yum!! Chocolate for breakfast? Count me in! But seriously, this is gorgeous and healthy and looks absolutely delicious. Beautiful job, Sarah! This is one gorgeous bowl! 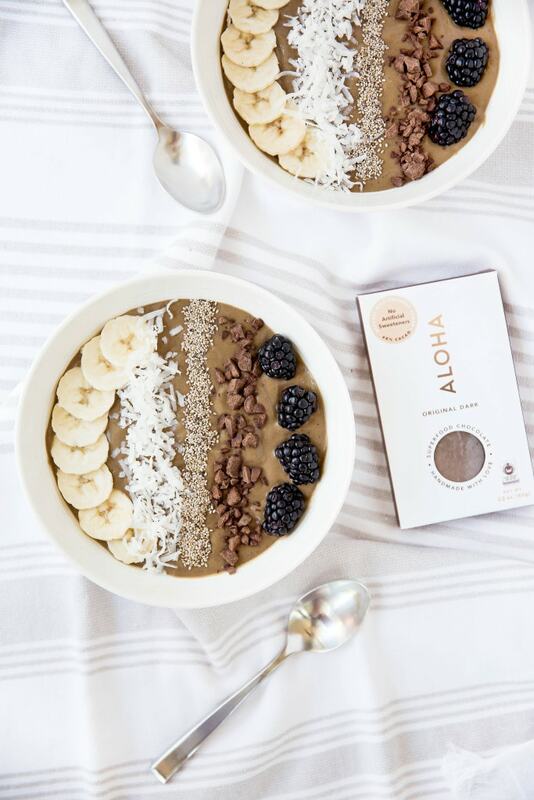 Love smoothie bowls and the Aloha chocolate sounds fabulous! They’re seriously my new favorite thing! I love the smoothie bowl trend I am seeing. And this one takes the cake. I love the chocolate flavor. Thank you Jocelyn! I mean, can’t complain with chocolate. 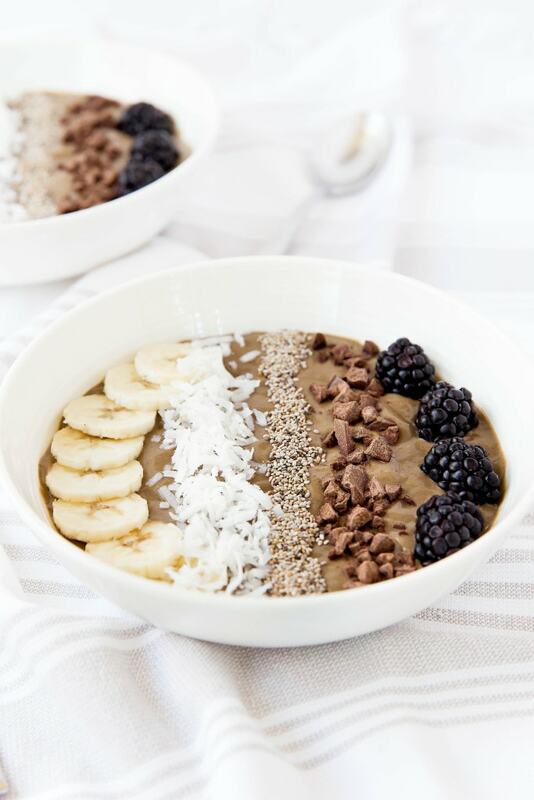 Okay, I really need to get on this smoothie bowl bandwagon…especially if there is chocolate involved! Oh I love smoothie bowls now. All the possibilities 🙂 but I think chocolate trumps it all. This looks so tasty! I love making berry smoothie bowls, but I never considered making it with chocolate! 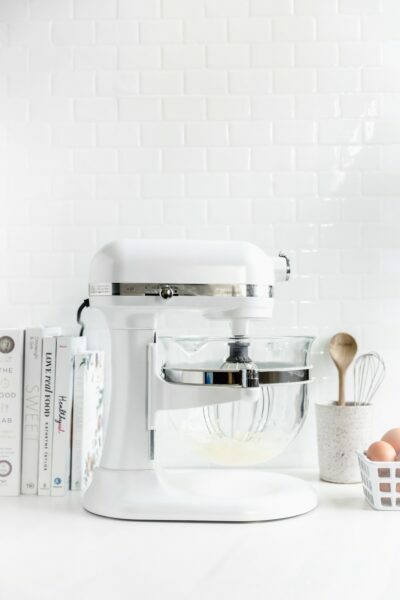 I also loved the fact you used avocado- it makes everything so much smoother and more creamy. I will most definitely give this one a whirl.